With Microsoft Dynamics CRM and PowerObjects’ PowerSuccess service-as-a-subscription program, Kelly Roofing is able to effectively use their CRM online solution to streamline its sales and marketing processes, improve service management, estimating, and job costing capabilities and increase overall customer service effectiveness and response times. Founded more than 30 years ago, Kelly Roofing has grown to become the largest roofing contractor in Collier County, Florida and has been ranked one of the Top 100 Roofing Contractors in America since 2003. As a family-run business, the company is dedicated to combining old world building principles, cutting-edge technology and continuing education to allow them to provide the highest quality roofing systems on the market. Ken: Kelly Roofing was started in 1972 by my father Joe Kelly. Staying local allows us to build nice, strong relationships with each one of our customers. Ken: We love to creating raving fans and cheerleaders that go and spread the word about Kelly Roofing and the experience they had with us. By using technology, we can ensure that the customer receives the same experience that they expected to receive. Online was really important to us and the reason why is because we are so mobile. We wanted to take our business to the next step. We started looking for a piece of software that would allow us to manage our business and our customer relations and that’s when we found Microsoft Dynamics CRM Online. We wanted our team to be faster at what they were doing so they had more time to spend with the customer. Jennifer: When a customer calls in for an estimate, we can take note of that right in the computer right in that moment. We document it and then I can schedule an appointment for them. Joe: CRM is actually able to synchronize that right to the schedule and literally my guys wake up in the morning, they open up their schedule and they know exactly where to go because it’s already been set up for them. What’s so nice about CRM is whenever you talk to the customer you can add those notes in. It gives you an automatic reminder to follow up with that customer and you’re also able to review your notes so you can pick up right where you left off. Before we used to have five people to handle all of the clerical work. Now, with the automation, one person can handle all of that. It’s funny because we’re just a little local family owned and operated business, however, I can’t tell you how many times customers have the perception that we’re a national company and the computer system helps show that perception. Ken: The reason why Kelly Roofing decided to go with a partner is because we are really good in our business but we’re not great at software. We decided, let’s go ahead and bring in someone that does that full-time, has all the expertise, show them what we need and let them show us the best practices to make it work for us. Power Objects doesn’t just look at you like you’re just another business, you know they want to see you succeed. June 22, 2017 Carly Sletten	Be the first to comment. In this video case study, see how Blue Cross Blue Shield of Kansas City worked with PowerObjects to implement a Microsoft Dynamics CRM online solution. 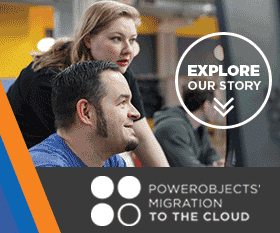 See how PowerObjects teamed with Owl Rock to help them expand reporting capabilities and increase organisational efficiencies. November 2, 2016 powerobjectsweb_o6z0dz	Be the first to comment. PowerObjects created a CRM training program for UL and launched it globally to 600 sales representatives on a four-week timeline.